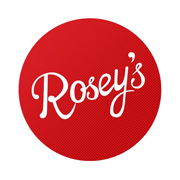 Rosey’s at Unley is another cute café. 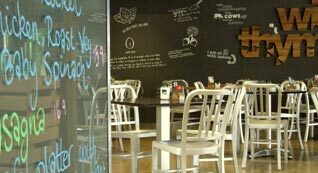 It has an outdoor area, great to enjoy your meal while enjoying the sun and a decent area inside especially if you have a pram (if your like me always making a scene with the pram and bumping into tables and chairs hahahaha….). Breakfast is served all day and the lunch menu changes on a regular basis. Previously I have had one of their salads and they know how to use different ingredients and make a fresh salad taste delicious. Kristina and I shared the roasted pumpkin and parsnip soup (served with toast) and today I had a freshly squized juice of carrot, orange and ginger (great combo to fight the cold). Growing up in the area and as a young child going to the the Ashbrook Avenue Deli, you would never believe that such a cute place would be created from the old Deli. It’s not just a café, it’s a shop and a cooking school. You walk in, there is such a great vibe and wonderful to bring children to. They have small tables for the kiddies to draw and play on. Great children items to purchase and not expensive at all. Most important the FOOD….. My mother and cousin Gilda both got the Grilled mushrooms with caramalised onions, spinach, basil pesto and goats cheese and all this beautifully layered on top of toasted bread. Cousin Tony had the hotpot slow braised beef pie and it came with two side salads of coleslaw and a quiona salad and I had the pumpkin, carrot and yellow lentil soup (served with toasted bread). Tony raved how tender the meat was in his pie and full of flavour and the salads fresh and different flavoured. My soup was full of flavour and the yellow lentils was a nice touch to the soup. Always a family affair! Usually on Tuesday we don’t have dessert but, we were naughty this time and totally worth it! Gilda had the coconut and orange cake and I had the hazelnut chocolate cupcake with a long black decaf (the coffee was nice and not bitter!). The cakes homemade, soft and delicious! There is a great selection, especially if you want something gluten or diary free. Sorry no photo’s, I was too busy enjoying the food hahahaha… Next time I will take some and post. They are open Monday to Friday 8.30am – 4.00pm. 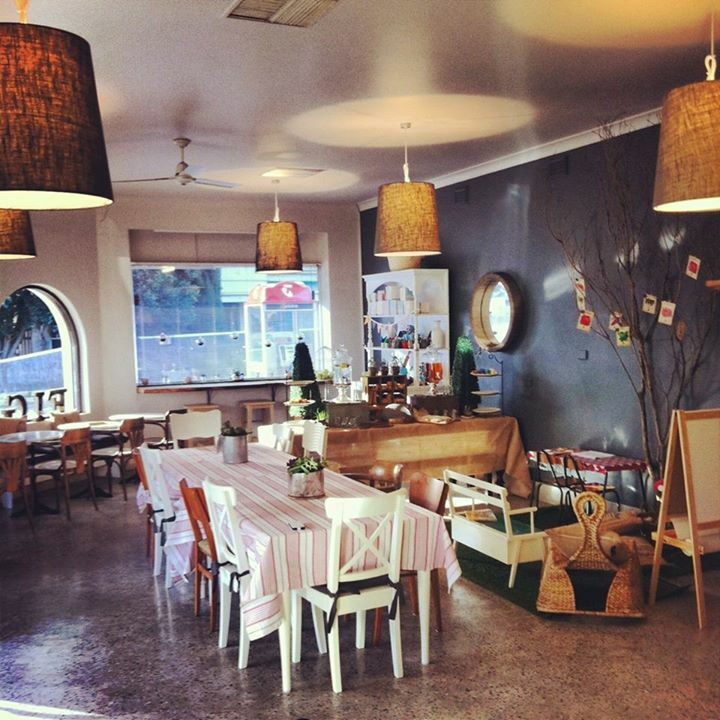 When you walk into Wild Thyme it’s spacious, great for kids and plenty of room for prams. Located on Melbourne street in North Adelaide. 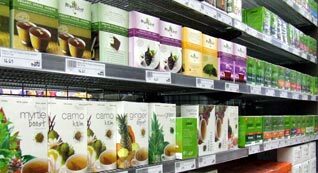 Wild Thyme is fresh, organic and taste delicious. 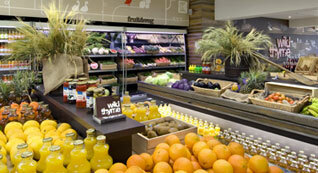 It’s not only a café, it has an organic store, with great produce and so many varieties of items to choose from. It’s a diverse café with different character and there are not many in Adelaide like this store. I went there for my sister in-laws birthday for brunch and the service was quick with friendly staff. Each staff member which walked past was kind and picked up the kids toys from the ground. and herb pesto on dark rye. The pesto and haloumi was a great touch to the dish. My mother had the oven baked omelette with organic eggs, chorizo, spanish onion, roasted capsicum and pecorino. The meals were presented well and plate size was more than enough. It is hard to please an Italian when it comes to food, unless they have cooked it themselves. However, Pizza e Mozzarella Bar is an exception. This is one of only a few places in Adelaide that come close to making you feel like you are in Italy. If you have had a pizza in Italy, when you bite into these pizza’s, you have a flashback and wish you were back in Italy eating the pizza. 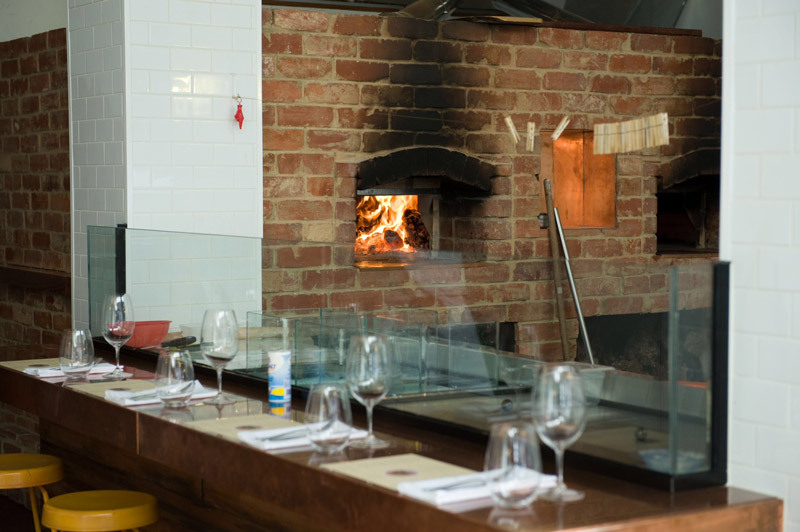 Their authentic food is cooked in their wood oven, with the rustic flavours you can smell as you walk in from Pirie St.
Their staff are very welcoming and make you feel relaxed as if you were at home. 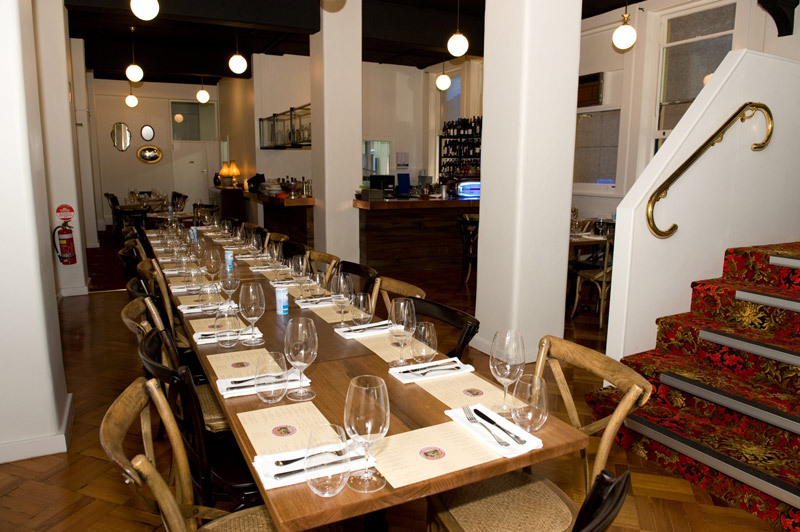 This is a great location in winter, as the heat from the wood oven makes for a warmth eating experience. Two good choices of pizzas are the Quattro Stagioni (ham, olives, artichokes, salami) and the Capricciosa (artichoke, ham, anchovy, olives). Every Italian will tell you that a good pizza is determined on their Margherita pizza. 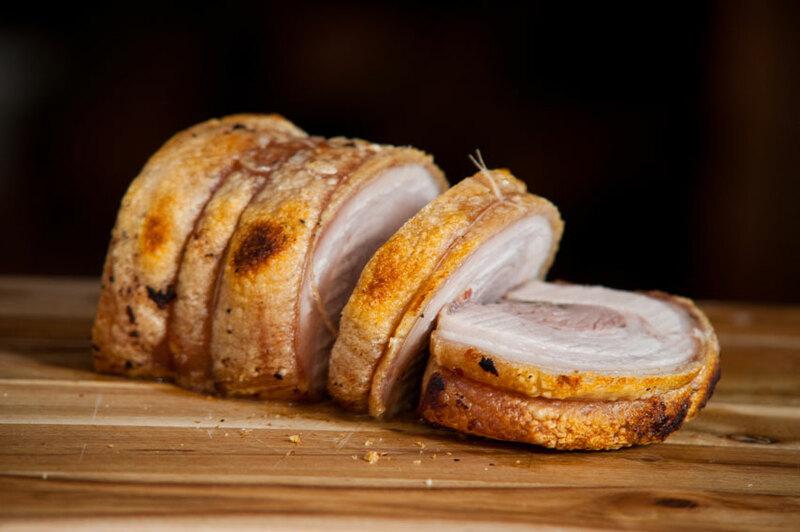 Pizza is not only on the menu, as they offer a good selection of main meals with the highlight being the Pork belly with crackling & romesco sauce. If you go with a large group try their banquet, you have a taste of a few items on their menu and you definitely don’t walk out hungry. Elizabeth Street in Croydon has transformed into a hip new location with it’s boutique stores and cafes. 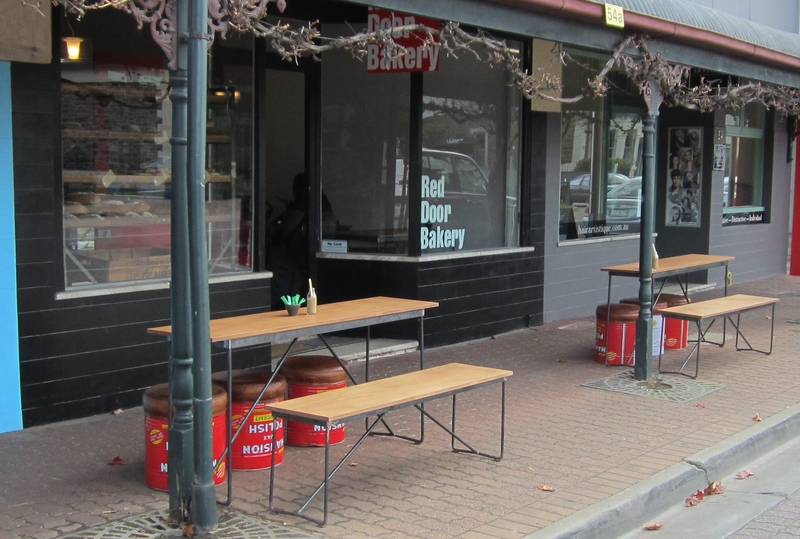 Red Door Bakery produced home baked goods made the old fashioned way for a modern clientele. Red Door Bakery uses only use organic, natural ingredients including real butter. Belgium Butter is their main ingredient, and as they tell you, they worship butter! They use local produce including Strathalbyn flour, Riverland and Adelaide Hills fruits and meats from various parts of South Australia. 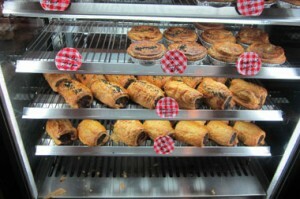 Try their Angus Beef Pies or their Traditional Chicken pies, they are amazing! Or grab one of their hand rolled breads including Sour Dough, Olive Oil or Olive & Rosemary. Their tarts are also amazing including the mouth-watering Lemon Curd Tart. 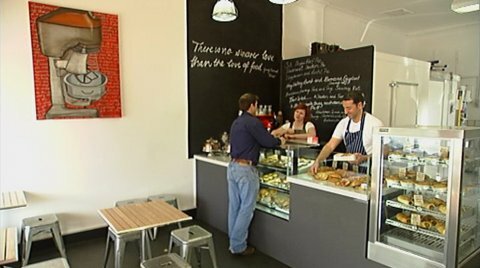 On your next bakery visit, make your way down to Elizabeth Street, Croydon and it will be worth the drive.